And that's 2 slots rocket launcher, 1 Gauss rifle, 1 assault rifle, 1 pistol, and 1 riot... Oh huh how did I miss that? Woops. Take away my shield then. Personal Information: Vynkor began her life in a vat. Assembled from biomass grown over two years in dishes across a remote and unknown research station, Vynkor's age is somewhat nebulous, but she's been out of the vat for 28 years. She was trained from "birth" to be a combat engineer. She was kept away from computers, as it was feared that she would become a danger to the station's AI. Instead, she was trained on mechanical systems, with cursory courses in firearms. As a research specimen, the total lack of personal contact hamstrung her social skills. Personality: Vynkor is reclusive, preferring to work on her own. However, team exercises were a part of her training, and she can put aside her unease. When she does make an attempt at social behavior, she is often tactless. Her social anxiety is related more to the fear of backlash for being too blunt than to a fear of people or talking. Reason your character got REKT: Eight years after her escape, the institution which had created her finally tracked her down. The pirates, nearly all of whom were personally indebted to her, resisted the large fleet of cutting-edge vessels. The pirates fell quickly, their converted miners and haulers no match for the fleet's vastly more advanced war machines. Their most valuable asset, the corvette, was still vastly outclassed by the institution's destroyers and cruisers. Vynkor and her accomplice surrendered and were captured. Her accomplice was reconditioned and, broken, returned to the institution's employ. Brief and futile attempts were made to recondition her as well, but the institution decided that it would be cheaper and safer to simply get rid of her. 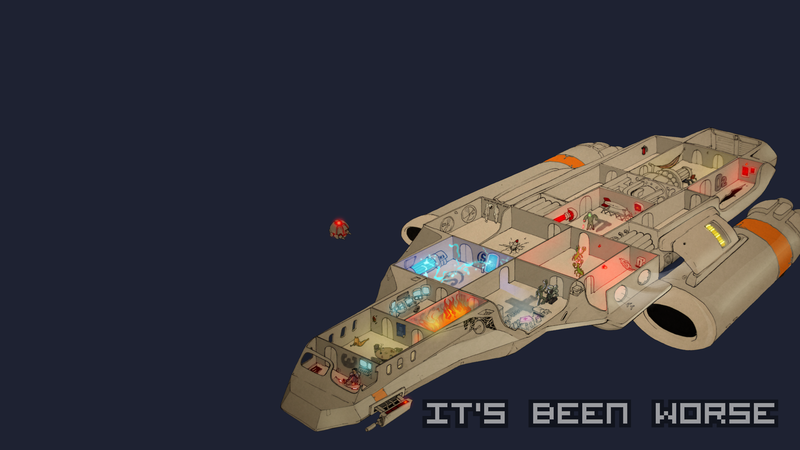 Edit: Added purchases, fixed jumpship thing. Still pending physical description, but the charsheet is basically ready to go. Last edited by 0111narwhalz on Sat Dec 02, 2017 2:33 pm, edited 2 times in total. But what is a spacefolder drive? A drive that folds space and and then tunnels between the folds. Oh wow! That looks like a pretty good build actually! Have you seen the thing with the questions on Tal's Creation-helper? Looks great, except for the spacefolder drive/jumpfighters. The rest of your character is absolutely a go! Hyperspace/jump drives/wormhole tech doesn't exist in the REKT universe. REKT space travel utilizes Warp technology, which has currently advanced to Warp 15 - a speed capable of getting you across the galaxy in only two months. Nemesis, however, used Warp 14, as it's an older ship - this is only half as fast. Warp tech works by creating a bubble that adopts the physics of a specific parallel universe, permitting faster-than-light travel. These systems are bulky and for technical reasons can't be installed on smaller craft, meaning anything fighter-sized is essentially warp-free. This is actually a significant plot point, both in the lore and in GTD/BTE. The REKT universe does have a form of teleportation technology in the form of "blink" teleporters, which are capable of transferring an attached object across an area (using anomalous materials) (essentially materials that are holdovers from the Quantum empire - materials from alternate universes that still obey those laws of physics). Unfortunately the energy requirements for this are vast and unsuitable for long-distance travel. That's a little fun, pointless thing I added based on the three primary character types I noticed while analyzing your character builds. Essentially, it's "combat", "repair/psi/exotics", and "science/stealth/hacking" - or, to put it a different way, Fighter, Mage, Thief. I had intended to change it to "fighter mage thief" but I think I forgot. It's just what my analysis tool lumped everybody in as. ¯\_(ツ)_/¯ It was analyzing which ones were often taken with each other, and not so much the types themselves. Almost certainly. But I was working with what I had, and as I said, it's just a fun, pointless addition. Fun for me, that is. It was fun to make. edit: it looks like repair is actually classed with the other tech-skills, and it's hacking that's in with PSI. Pretty sure yes. He answered one of them. Alright, I've updated the backstory to eliminate the jumpfighter and drafted my purchases. I'm still torn between laser and railgun, but I've written in laser for now. I've also not yet figured out what Vynkor looks like. I'll make a final decision regarding laser vs. railgun tomorrow and send Vynkor to the main thread, so if you've any input on that issue please supply it soon. I'm expecting she'll be sent to Alpha, since that's where the open slot is, and I'd like her to complement the group well.